There’s a lot of confusion surrounding WordPress design terminology. I am frequently asked questions like, “can you recommend a good WordPress template for a business website.” When this happens, I understand that the person asking the question is actually looking for a WordPress theme suggestion. While it may seem pedantic to dwell on these seemingly interchangeable terms, there’s a real difference between themes and templates in the WordPress world. Once you’ve finished reading this post, you’ll know the difference between a theme and a template — and, more importantly, when to use each. A WordPress theme is a complete design for a website. A WordPress theme includes all of the things that you typically associate with web design. From colors selection to headers, footers, and sidebar positioning. Through its stylesheet, a WordPress theme controls everything related to typography — including font face, font style, margins and indentation, and line spacing. You can find themes in the official WP theme directory or from any number of WordPress theme designers. When you install a theme through your WordPress admin area, the theme files are downloaded to your web server automatically. If you download a theme to your computer, you’ll find it packaged in a single zip file. Open up the zip file, and you’ll find a folder full of files (and even more folders!). That messy collection of files and folders is the guts of your WordPress theme. Some of those files happen to be WordPress templates. So, What is a WordPress template? This is where things get a bit confusing. Some other web design systems refer to the overall site design as a template. In WordPress terminology, a template is a page layout that’s available within a theme. The template is just single page layout. Not the whole site design. Theme = the design of your whole website. Template = the layout of a single page on your site. Some standard WordPress templates are common to almost all themes. For example, the Archive.php template displays a list of posts (within a category, tag, or date range). And the Single.php template is used to display single blog posts. Check the template hierarchy to figure out which template WordPress uses on any given page of your website. Besides the standard templates, some themes have special templates designed to deliver special design features. 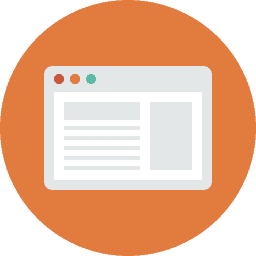 You may have a special template for a contact page or a full-width template with no sidebar. You apply templates to individual pages in the WordPress, page editor. Just keep in mind that not all WordPress themes have special templates. If yours does, you’ll find them listed in the Page Editor. Look for the Page Attributes box just to the right of your page content. Templates are page layouts designed to work within a WordPress theme. You can’t just install a single template. WordPress doesn’t work that way. To change templates, you install a new theme. However, it is possible to create your own custom templates — although doing so is too advanced for this post. You will need to have a good understanding of web design (CSS, HTML, and PHP). A strong knowledge of the WordPress template hierarchy helps too. In the end, both themes and templates are made of the same ingredients that make up any web page — HTML and CSS. Still, have questions about WordPress themes and templates? Leave a comment below, and we’ll help you sort thing out. Setup WordPress and start building your website today with ten of our most popular step by step videos. Learn the basics in under an hour. Perfect for any WordPress beginner. If I downloaded a template (Apartment HTML) would I need to install a theme to make it work? That’s just an HTML template. To use that with WordPress you will need to turn it into a WordPress theme. That would involve breaking up the design elements into the appropriate WordPress templates (header.php, footer.php, sidebar.php, index.php, etc.). As you create those files you’ll need to add the WordPress tags that merge content with the template. I have a self-hosted WP blog site. My current WP theme is outdated and I believe no longer supported by WP. When I log in as an admin, I’m prompted to update the theme, but I’m not sure what will happen if I do so. Will I lose the graphic design elements? I’m not married to the design anymore. It too is quite dated. But I haven’t performed the update because I don’t know what my site will look like after I do. Hi Monica, Updates can be scary, no doubt. Generally speaking, you shouldn’t lose any of your design elements with a theme update. If you’ve only made design changes through the WP Admin there’s nothing to fear. However, if you (or someone you’ve hired) has customized the underlying theme code (CSS or PHP templates) without first creating a child theme, then there’s a real chance that you’ll lose your customizations. To be safe be sure to make a full backup of your site before installing the update. That way you can restore your old site if something goes wrong. This relates to WP Themes & Templates that you have elaborated above. I am new to website building. I have a free theme on my website. Can I add a HTML Template ? Hi Nadir, Yes, you can add a new template, but it will have to be PHP. You include your HTML in the template along with WordPress template tags (which are really specialized PHP functions that only work with WordPress). I am looking at purchasing a third party theme/template to build my webiste. The author states that it is a Photography WP Theme https://themeforest.net/item/diamond-photography-wordpress-theme/9274644?ref=cirvitis, but he also has a photography website template https://themeforest.net/item/diamond-photography-website-template/9718334?s_rank=17. I am wanting to build my site on WP.org – which is the best to purchase? Can I simply create a template like landing.php or is it a more complex thing? 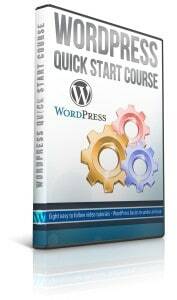 Learn the basics in under one hour with the free WordPress Quick Start course. Includes free lifetime access to 10 of our most popular lessons. No obligations.